We’ve compiled a list of frequently asked question for this project. If you have a question that we have not answered, please contact us. Where will construction activities take place? The project will be constructed on an 180+ acre parcel of land previously used for a sand and gravel mining operation. The site is located north of North Keys Road approximately 1.25 miles east of Brandywine, Maryland. Construction broke ground in August 2015 and will be completed during the 4th quarter of 2018. Does Maryland need the power that the project will generate? “the always uncertain future of our existing coal-fired generation and the coal-fired generation in neighboring states that export electricity into Maryland. PJM categorizes coal generation more than 40 years old and less than 400 MW as at ‘highrisk’ of retirement. Several parties emphasized that 90% of Maryland generation is either coal or nuclear. Of the nearly 5,000 MW of coal generating capacity in Maryland, 70% is more than 40 years old, and thus at ‘high-risk’. The project will result in the introduction of 755 MW of electrical capacity in the region of most concern of the MPSC, thereby providing a reliable, efficient, and environmentally acceptable source of electrical energy in close proximity to the native load centers. How much power will the plant generate? The PSEG Keys Energy Center will bring 755 MW of electric generation to Maryland and meet the average consumption needs of approximately 500,000 Maryland homes. What is a combined-cycle plant? A combined-cycle power plant uses a combustion turbine, heat recovery steam generator, and a steam turbine to generate electricity. The combustion turbine uses natural gas to generate electricity. Waste heat from the combustion turbine is used to create steam, which powers the steam turbine. This technology recycles waste heat to generate even more electricity, making a combined-cycle plant very efficient. Can the plant run on an alternate fuel? No. The plant will only run on natural gas. Will the investment in the PSEG Keys Energy Center require the issuance of equity capital to finance PSE&G’s capital program? No. PSEG has ample capability to finance PSE&G’s capital program as well as the construction of the PSEG Keys Energy Center without the need to issue equity. As you recall, we indicated earlier this year that we could finance a $4 billion increase in our capital program without the need to issue equity. How do you intend to finance the construction of the PSEG Keys Energy Center? PSEG Power will finance construction on its balance sheet. PSEG Power has an investment grade credit rating. Debt represented approximately 31% of PSEG Power’s capitalization at the end of March 2015 providing ample room to finance this project with debt. Companies do not usually earn their cost of capital on a new build. Why is this different? 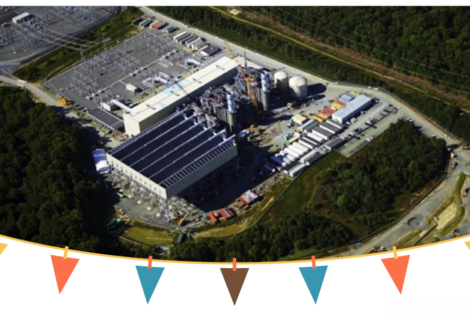 PSEG Power has extensive experience in developing, building and operating combined-cycle plants. Our Linden generating station, that began commercial operation in 2006, has a highly successful track record for providing reliable energy to the marketplace. By expanding our gas fleet into Maryland, we will bring best practices for combined-cycle operations. The PSEG Keys Energy Center cleared the PJM auction at a reasonable price and will run competitively in the marketplace. Will the facility have oil as a backup fuel to assure availability and the ability to bid as a Capacity Performance unit in PJM? The PSEG Keys Energy Center will not have oil as a backup fuel. PSEG Power has a firm gas transportation contract on the Dominion Cove Point Pipeline which commences at an interconnection with the Transco pipeline in Virginia. This interconnection is a very liquid point with gas coming from both the Marcellus Shale region and the Gulf of Mexico. 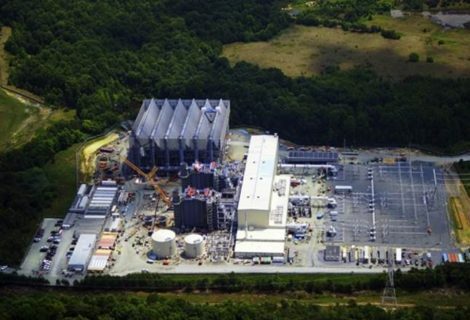 To meet the firm obligation under PJM Capacity Performance, the gas supplies for the plant will be purchased on a firm basis at this interconnection point. Why is it a good time to build this plant? Market conditions are favorable. There is a strong need for new electric capacity in the Southwest Mid-Atlantic Area Council (SWMAAC) and in particular PEPCO where this plant will be located. This is a transmission-constrained area that relies on significant imports in order to meet peak demand. With more than 1,200 MWs of older, less efficient generation scheduled to retire in the next few years, a new, highly efficient combined-cycle plant will bring needed and reliable energy to an area that will continue to grow. Will the plant qualify for Capacity Performance (CP) as defined by PJM under the proposed changes to PJM’s capacity market, called the Reliability Pricing Model (RPM)? Yes. The PSEG Keys Energy Center will qualify for Capacity Performance in the PJM capacity market. What steps will be taken to protect the environment? Will there be an adequate supply of natural gas to run the plant? What type of fuel will be used to run the plant? The PSEG Keys Energy Center will run on clean, efficient natural gas. What technology will be used to generate electricity? The PSEG Keys Energy Center will be a highly efficient combined-cycle unit—one of the cleanest technologies available for electric generation. What are SNC Lavalin LBE/LMBE Utilization and Direct Hire Labor Goals for the Project? The following are the goals identified for the Project: LBE/LMBE Goals: SNC-Lavalin has a goal to cause at least (i) twenty percent (20%) of all subcontracted work be awarded to Local Business Enterprises (LBE) and (ii) ten percent (10%) of that subcontracted work be awarded to Local Minority Business Enterprises (LMBE). Direct Hire Labor Goals: Further, SNC-Lavalin has a goal to cause at least twenty percent (20%) of the direct hire will be local hires (Prince George’s County residents) of which ten percent (10%) will be minority direct hires. What type of equipment will be utilized? The project will consist of two combustion turbine generators (CTGs) equipped with dry, low oxides of nitrogen (NOx) combustors; two heat recovery steam generators (HRSGs) with supplemental HRSG firing or duct burners (DBs); a single condensing steam turbine generator (STG); an air cooled condenser; a natural gas-fired auxiliary boiler; and associated ancillary equipment necessary for the generation of electric energy. Will new transmission lines be required as part of the project? No new transmission lines will be required to connect the project to the electrical grid. The PSEG Keys Energy Center will connect to the Potomac Electric Power Company (PEPCO)/PJM 500 kV transmission line adjacent to the property. Will the project’s water requirements impact the supply of local drinking water? There will be little to no impact. The project is air cooled eliminating the need for potable water for turbine cooling. It will require approximately 200,000 gallons/day for boiler water make up and normal consumption by the operating staff of the plant. What is SNC Lavalin’s role in the PSEG Keys Energy Center LLC? SNC-Lavalin has an engineering, procurement and construction (EPC) contract to develop the 755 MW PSEG Keys Energy Center LLC. The plant will feature two gas-fired turbines, two Heat Recovery Steam Generators that will power one steam turbine generator with an air-cooled condenser that dramatically reduces the plant’s water consumption. The project will generate about 700-800 jobs during the two-year construction phase. Construction of the project began in 2015. The plant will be in operation in 2018. Will the community benefit financially from the project? The PSEG Keys Energy Center will represent a major investment in the local and regional economy. Over the 40-year life of the project, it is anticipated that the PSEG Keys Energy Center will bring significant new tax revenue – approximately $640 million in various taxes – to Charles County, the State of Maryland, Maryland-National Capital Park and Planning Commission, Prince George’s County and the Washington Suburban Transit Commission. 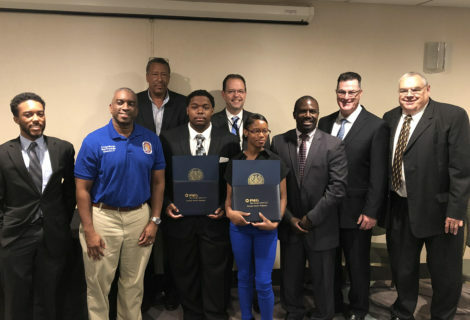 In addition, as part of the Community Foundation Agreement, PSEG Power will donate $3 million toward the construction of a new Southern Area Aquatic and Recreation Complex (SAARC) in Brandywine, Maryland. The SAARC will include indoor aquatic space, a gymnasium, a fitness room and flexible programmable space. For more information, visit the Prince George’s County Department of Parks and Recreation website (www.pgparks.com). How many permanent jobs will the project add to the community? More than 20 permanent jobs will be created to run the new plant when it becomes operational. The project will be constructed on a 180+ acre parcel of land formerly used for a sand and gravel mining operation. The site is located north of North Keys Road approximately 1.25 miles north of Brandywine, Maryland. How many jobs will be required to construct the project? Who addresses concerns related to the construction process? Customer service is SNC Lavalin’s highest priority. We are committed to completing this project the right way – safely, efficiently, and in a way that addresses concerns and enhances the neighborhood. We have established a Community Office team to engage with the community throughout the process. The project team plans to work closely with residents and businesses to minimize impacts and ensure they are informed about construction plans. Call or email the SNC Lavalin project team with questions or concerns at 301-885-1072 or keysenergy@snclavalin.com. How can I meet with project representatives to learn more about SNC Lavalin construction opportunities and get updates related to the project? Each month SNC Lavalin will host a monthly update meeting to share project updates and answer questions from diverse suppliers and community members. All are invited to attend. Additionally, SNC Lavalin will host quarterly public open house meetings where members of the SNC project team are available to answer questions and to provide project updates regarding construction. Please contact 301-885-1072 to contact our team members for more information regarding upcoming informational briefings. How will SNC Lavalin continue to engage the community throughout the construction phase of the project? SNC Lavalin understands that this is your neighborhood and you have a vested interest in making sure we complete this project the right way. We’ve actively engaged with the community throughout the pre-construction phase and we intend to continue that level of engagement throughout the construction period with a robust two-way communication program. This will include email blasts, flyers, community meetings as well as a robust social media campaign. How are procurement and employment opportunities with SNC Lavalin advertised? SNC-Lavalin will disseminate information on construction and employment needs via social media, county community organizations, job fairs, and county workforce development networks and advertising through other media. For further information, please contact our offices at 301-885-1072 or email us at keysenergy@snclavalin.com.